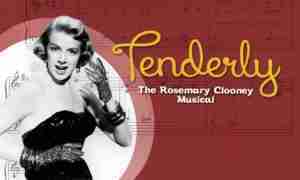 Portland Musical Theater Company opens a Portland premiere, Tenderly, The Rosemary Clooney Musical in April 2019 at the Peninsula Odd Fellows Lodge at 4834 N Lombard St. Portland, OR 97203. Tickets for Tenderly, The Rosemary Clooney Musical will be available now and can be purchased at http://portlandmusicaltheater.org/tickets or by calling the box office at (971) 225-7469. It offers a fresh, remarkably personal, and poignant picture of the woman whose unparalleled talent and unbridled personality made her a legend. In Tenderly, Rosemary Clooney’s journey starts with her simple Maysville, Kentucky childhood and follows her rise to Hollywood stardom. With her signature songs woven in and out, we learn both the story of her successes on film, radio, and TV, as well as her struggles in her personal life – with a career fading during the advent of rock-and-roll and her battles with addiction and depression. Audiences stand and cheer as they rejoice at her triumphant comeback and even more successful career as a jazz singer. Tenderly stars Deanna Maio as Rosemary Clooney. Tenderly is based on the life of Rosemary Clooney, who was hailed as America’s favorite girl singer, in this exhilarating and inspiring new musical biography. Her journey starts with her humble Midwest childhood and rise to Hollywood stardom, and continues beyond battles with depression to a triumphant comeback. Through it all, she topped the charts for nearly five decades with signature songs. Tenderly offers a remarkably personal and poignant picture of the woman whose unparalleled talent and unbridled personality made her a legend. The show, which received rave reviews and a double-extension of its run in its second incarnation at Cincinnati Playhouse earlier this year, features many of Mrs. Clooney’s signature hits, including “Hey There (you with the stars in your eyes),” “Tenderly,” and “Come On-A My House.” Mrs. Clooney was born on May 23, 1928, in Maysville, Kentucky. She became a popular recording artist during the 1950s, known for her warm, engaging voice. She started out singing with her sister Betty on a Cincinnati radio show, and the two joined Tony Pastor’s touring big band orchestra in 1946. After her sister retired from singing, Mrs. Clooney went to New York to launch her solo career in 1949. Two years later, after signing with Columbia Records, she had her first No. 1 hit with “Come On-a My House.” More hits followed, such as “Hey There,” “This Ole House” and “Tenderly.” She also appeared in feature films, including The Stars Are Singing (1953) and White Christmas (1954) with Bing Crosby. In the late 1950s, she had her own self-titled television show. She experienced personal problems in the late 1960s, including a divorce from actor Jose Ferrer, medication addiction, and depression. She spent years recovering and rebuilding her career, starting out in small clubs and lounges. In the mid-1970s, she joined Bing Crosby on his final tour, which helped spur her comeback. 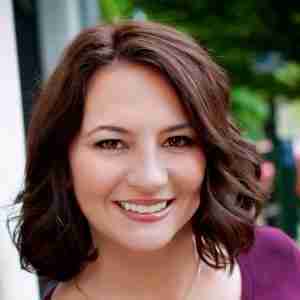 She later signed a recording contract with the Concord Jazz label and married Dante DiPaolo, a dancer she had known from two of her films, in 1996. Mrs. Clooney continued to record and perform, and in 2002 received a Grammy Award for Lifetime Achievement. Mrs. Clooney died from complications related to her battle with lung cancer on June 29, in Beverly Hills, CA. She had five children from her marriage to Mr. Ferrer. The show includes a 15 minute intermission and concessions will be available for purchase. Groups of 10 or more can save with our group savings option online or by calling the box office at 971-225-7469. All performance will be at the Peninsula Odd Fellows Lodge at 4834 N Lombard St. Portland, OR 97203. Please note: the theater space at the Peninsula Odd Fellows Lodge is on the second floor. There is a staircase and a stair lift chair for our guests who prefer not to climb the stairs. We recommend you arrive 30 minutes before curtain if you plan to use the stair lift chair. Please feel free to call us is you have questions about the facilities. Guidance: This show includes cigarettes, gunshots, and some adult language and is recommended for ages 13 and up. Portland Musical Theater Company is dedicated to furthering the appreciation of musical theatre in the Portland metro community through performances and educational programs. We are committed to two fundamental truths. Each of us is special and has unique gifts to contribute to the world and we’re more alike and connected than we realize.